The Universal Periodic Review (UPR) is a new mechanism involving a four-year cycle of cooperative review of the human rights records of all UN Member States. Under the auspices of the Human Rights Council, each State has the right to declare what actions they have taken to improve their human rights record in order to better align their national policies and praxis with their human rights obligations, and to address human right violations. Iran’s first UPR took place in February 2010. Out of 212 recommendations, Iran accepted 126. In preparation for Iran’s second UPR, member states are gathering facts and considering recommendations that may help improve Iran’s human rights record. 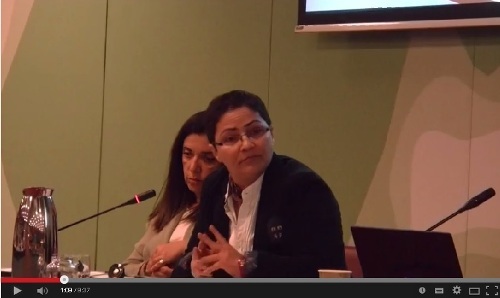 Input by NGOs is a vital step in this process. 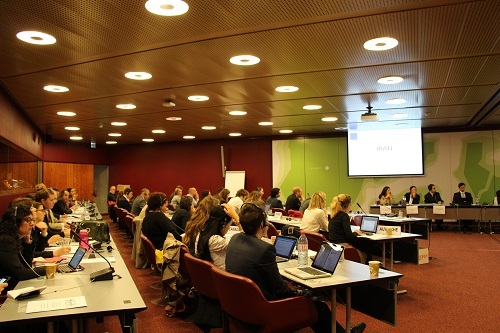 During this in Geneva, delegates heard from six NGO representatives specialising in different areas of human rights violations in Iran. In addition to JFI, only five other NGOs has the advantage of presenting their findings with representatives of 34 countries as well as the European Union. Three representatives of the Islamic Republic were also in attendance, but failed to make any statement. Dr Mahmoud Amiri-Moghaddam of Iran Human Rights displayed charts and statistics on the increasing rate of public executions in Iran stressing that despite Iran’s promises during its 2010 UPR at least 20 juvenile executions have taken place, 11 of which were over the past year. On behalf of the International Campaign for Human Rights for Iran, Omid Memarian focussed on the rights of minorities underscoring the fact that Rouhani’s presidential campaign promises lead many to expect a marked improvement in Iran’s human rights record, however, results indicate otherwise. 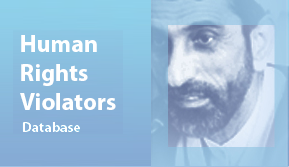 Iran Human Rights Documentation Centre’s Mohammad Hossein Nayyeri drew attention to the fact that during the last UPR the Islamic Republic justified its shortcomings by claiming its new penal code will enable the state to protect and promote rights. However, the new penal has been in place for over a year but human rights violations continue unabated. Diane Ala’i of the Baha’i International Community (BIC) addressed the plight of Iran’s largest non-Muslim minority, and a recent report entitled “Unfulfilled Promises: Iran’s failure to act after its 2010 Universal Periodic Review” to demonstrate the gap between Iran’s commitments during the last UPR and the current state of Baha’is in Iran. 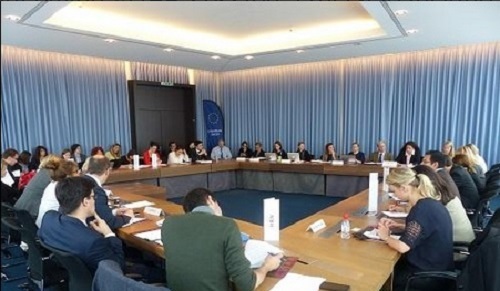 Following the conclusion of this session, JFI was invited to address a session hosted by the European Union where 15 country representatives were invited to consider recommendations that help improve the situation of LGBT citizens in Iran. Over the months of September and October, JFI experts have met with close to forty representatives of various member states of the Human Rights Council in Geneva, and based on victim testimonies, survivor interviews and documents shared details of human rights violations in Iran.